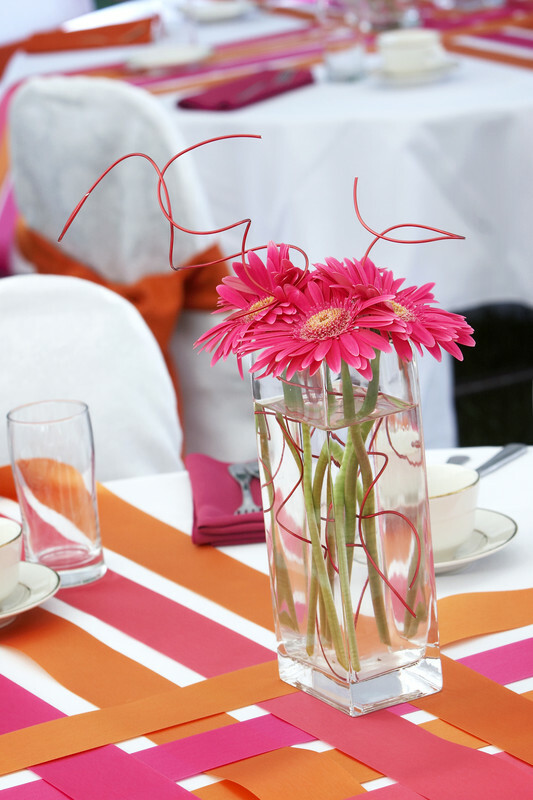 Flowers- the most beautiful decoration’s element of your wedding and reception. If you want that your wedding to be glamorous and full of flowers and wedding centerpieces you need know that you have good tastes, we love flower too. But this can be a tough decision enough! What color to go off of, how should they match the linens and the bridal dresses and the over all theme decor? Should the wedding and reception flowers be huge or just tall, but how tall? Small or medium? What about wedding and reception flowers bright and colorful and fragrant ? Below are some helpful tips about wedding reception flowers by iDesign Events Sacramento Wedding Florist Veronika Khar. When hiring your florist, make sure you know who is actually going to be making your arrangement flowers and flower bouquets, is he a professional and reliable florist. You want the florist you are working with you from consultation to have a clear vision of what your envisioning for your centerpieces and flowers. He must understand what kind of person you are and what flowers represent you better . Have your flowers do double duty, or be as twice as nice and wonderful. For example, you can use your bridal flower bouquets as arrangements on the head table. In a nice big crystal vase or decorated cylinder vase. Or you can have your pew flower decor transferred to the reception vase to be used as centerpieces. If you are using an organic theme? Or sage and moss? Utilize fresh fruit, herbs from fields or vegetables in your flower bouquets and flower arrangements. These unusual organic and unique fancy herbs add a unique touch – and sometimes fresh smell and something unusual – to your wedding day decorations. Keep your wedding flowers the same (as in type of flowers) throughout your entire wedding theme decor. If you are using fresh and fine roses, white hydrangea and imported orchids in your bridal bouquet flower, don’t be afraid to use them in your nice fresh and charming centerpieces too. Most Sacramento whole sale florist buy in bulk and it lets your designer save you money. Try to incorporate a specific flower that you like the most a unique type or color your mother or grandmother used in her fresh flower bouquet on your wedding day. This will not only fulfill the “something borrowed” item but also adds a personal touch to your bouquet. And will make your wedding day a one special and perfect. More Scented Tips… at iDesign Events Sacramento Wedding Florist Veronika Khar. Event Décor BloggerBuy paroxetine without prescription: Canadian Generic Pharmacy. Free samples available, fast delivery by airmail, we sale brand and generic pills paroxetine without prescription! Buy Paroxetine Without Prescription: Oldest Canadian Online Pills Phamacy. Nice discounts for loyal customers, worldwide shipping. Hawaiian astaxanthin reviews Order synthroid online Cheap generic tadalafil Keflex raise blood sugars Uti infection antibiotics What is a Order synthroid online order synthroid online cheap. Similar Pages: buy cheap synthroid, buy synthroid online, buy synthroid online, synthroid without prescription, synthroid online, order synthroid online, cheap.